I have been approved by Ofsted to be a Childminder, My last inspection i received Good. I live in a smoke free spacious 3 bedroom home with my Husband and our 3 daughters aged 11, 6 and 3 years old. We are in a central area which is only a 10 - 15 min walk from Lower Morden, Morden Park, Rose hill and Sutton where there are train stations to all London routes and buses to Morden, Kingston, Worcester park and many more. I have a clean full UK drivers licence and a fully insured and serviced car. I enjoy taking the children in my care to exciting new and fun places so they can expand their learning whilst being in a home away from home environment. I have also got a lot of experience with special needs children. 1 space for a child 0-5 years - Available in May, due to family relocating. I cover Brookfield primary Academy on Ridge Road. I am also available to collect from nursery pick up. Later collections can be arranged if needed and also offer emergency drop offs home. I have started doing a pay-as-you-go system for parents that only need the odd day a week or month so your child can remain in the same caring environment to make the day more enjoyable and friendly for all. No retainer or hidden fees for pay-as-you-go. Below are the latest reviews for Kelly. Please note that reviews represent the subjective opinions of other Childcare.co.uk users and not of Childcare.co.uk. Parents must carry out their own checks and references on childcare providers to ensure that they are completely happy before enaging in the use of their services. Our daughter has been in Kelly's care from the age of 6months. Within a few short weeks the progress in her development was clear. She was learning new cognitive and behavioural skills almost daily. Kelly was simply amazing at being an "extended family member" having only known her a few weeks we quickly realised the incredible wealth of knowledge she has and is more than willing to share any tips or tricks she has learnt along the way. Kelly provides daily messages with a breakdown of the day, meals, nap time/s, days activities with amazing photos and videos that we love watching together with our daughter and get a recap of her day with lots of excitement. Not to mention pictures, paintings etc. The kids go on outings to play groups, library, park, trampoline park and soft play centres. My daughter is completely embedded into the "Kelly" family environment and its now a struggle to get her to leave in the evenings. Our family are simply distraught at being relocated for work. Kelly has become much more than a childminder and is like a sister to us and second mum to our daughter. I simply cannot recommend Kelly enough and anyone who takes our daughters opening is simply lucky to have Kelly as their carer. It's going to be a very tearful good bye. Kelly has looked after my daughter since she was 6 months old and if you ask her she is a part of Kelly’s family. I am so lucky that I can drop my little girl off in the morning and know that she is happy and in such great hands every day. Her days are filled with visits to various playgroups, the local library, soft plays, the local park as well as special outings such as the trampoline park. All these outings are a great opportunity for my little girl to develop her social and communication skills. A couple of days a week we get beautiful artwork and crafts that have been made as well as detailed daily reports and photographs of what they’ve been up to, what’s on the menu or any other details Kelly feels we should know. Kelly provides healthy meals for every mealtime with good variety and it’s lovely to see all the children sitting around the table sharing mealtimes together. Kelly has a wonderful relationship with the children in her care. I have a lovely open relationship with Kelly and find it very easy to communicate with her. Kelly has been such a great help to us when we have found ourselves at a parenting crossroad, Kelly is always there to listen and offer advice. I count my blessings everyday that we have been lucky enough to have Kelly as our childminder and we are devasted to be saying farewell to her due to work relocation. I am very honoured to have cared for your little girl as she is definitely a member of our family. I have been to Kelly's for a short visit and feel obliged to leave a comment even after a few hours. Unfortunately I did not realise how far she was from mine but I am gutted that she is not closer. Kelly gave me very informed and helpful advice on how to prepare my little one for the transition of being in her care, she was willing to learn a list of words that my daughter uses in our native language, Kelly's daughter was very sweet and friendly and the 2 hours we spent there acted like my daughter's best friend. She showed me her DBS and Ofsted report and we spoke about a few of the recent online courses she did. I will be telling my friends about Kelly and will deff keep her in mind for when I finally start driving. 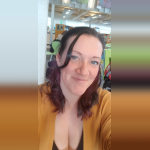 Kelly is a fantastic childminder who has looked after my daughter since she was 6 months. My daughter is now 2 & is always excited to go to kellys. I trust Kelly completely. She has a lovely relationship with the children in her care. She loves taking them out to the park, Eddie catz & play groups & I love the fact that my daughter gets the chance to delevop her social skills by interacting with others. They do many fun things like painting, baking & other arts & crafts. Ella eats well with Kelly & often prefers to eat dinner there then with me. I have a lovely open relationship with Kelly & find it very easy to communicate with her about Ella. She is always willing to listen & to give advice when needed. I would highly recommend her.